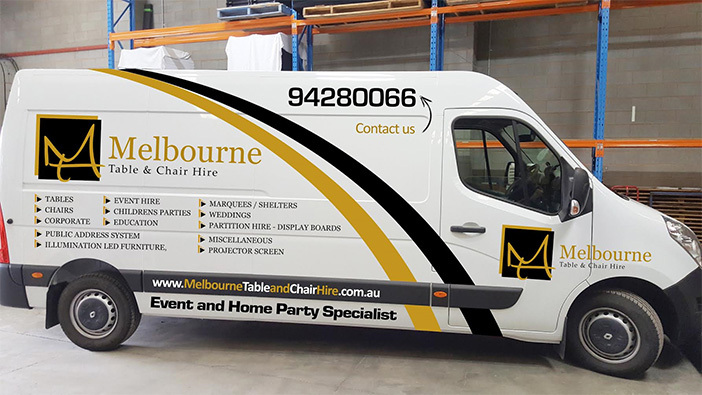 Why choose Melbourne Table & Chair Hire? At Melbourne Table & Chair Hire we help our clients by offering a fresh alternative for catering, party and furniture hire. We are ‘special occasion’ specialists who are 100% focused on offering our clients the best service and meeting their event needs. We’ve been providing services to clients for over 15 years. No occasion is too small – whether it be a wedding, party, ceremony, birthday or a corporate event, Melbourne Table & Chair Hire is with you every step of the way. We have been providing our service to Melbournians for over 15 years now and the events that we have covered range from retail, social, educational, private, corporate, wedding, and engagements. We are also regular suppliers for iconic Melbourne events such as the Grand Prix and the Melbourne Cup and leading clothing outlets.